The hubs has been bugging me to make his favorite bread since he saw it on a friend's FB post a few weeks ago. Finally, I was able to make some for him the other day. For the bread, I used my favorite White Roll recipe from Red Star Yeast, and for the filling, I combined butter, sugar and vanilla. I'm glad they turned out soft, buttery and beautifully browned as the ones we used to eat back home. 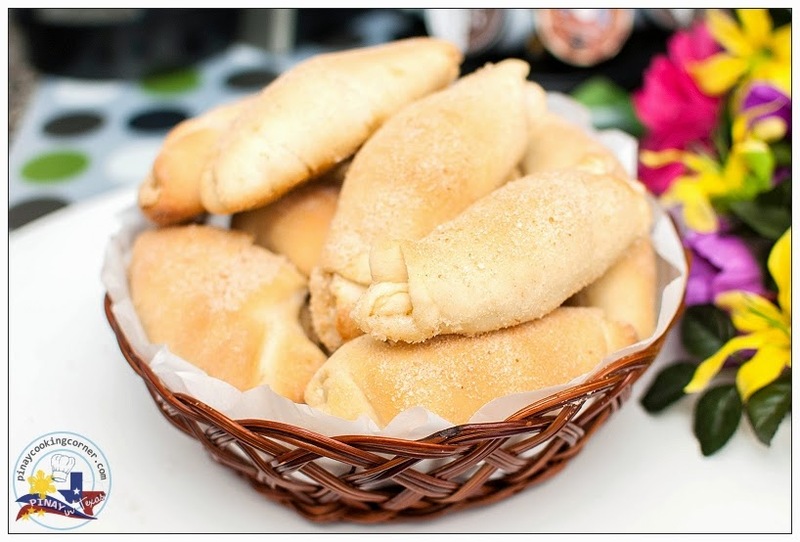 These yummy looking rolls are what we call Spanish Bread in the Philippines. I honestly don't know why it is called as such, because there's really nothing "Spanish" about it. I guess it's just a result of the very strong influence that the Spaniards brought to the Filipino Cuisine in the more than 300 years of colonization. 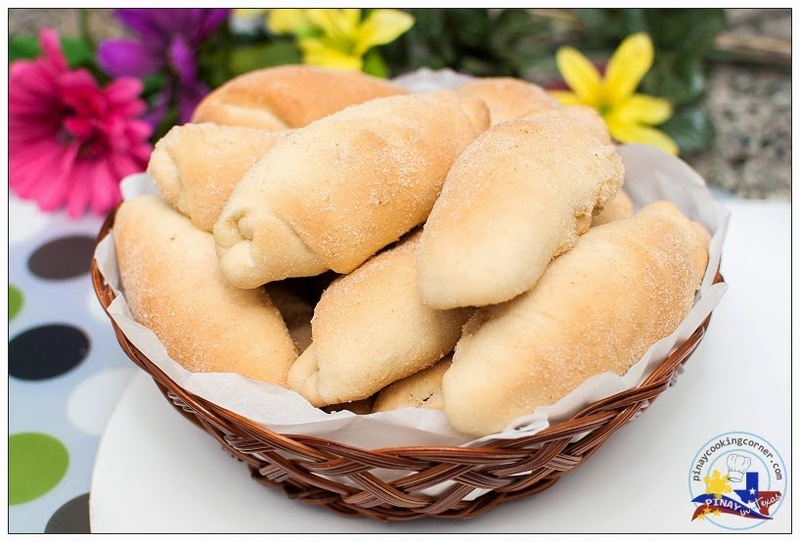 Spanish Bread is a Filipino favorite bread next to Pandesal which is best eaten with coffee for merienda (snack) and sometimes, for breakfast. 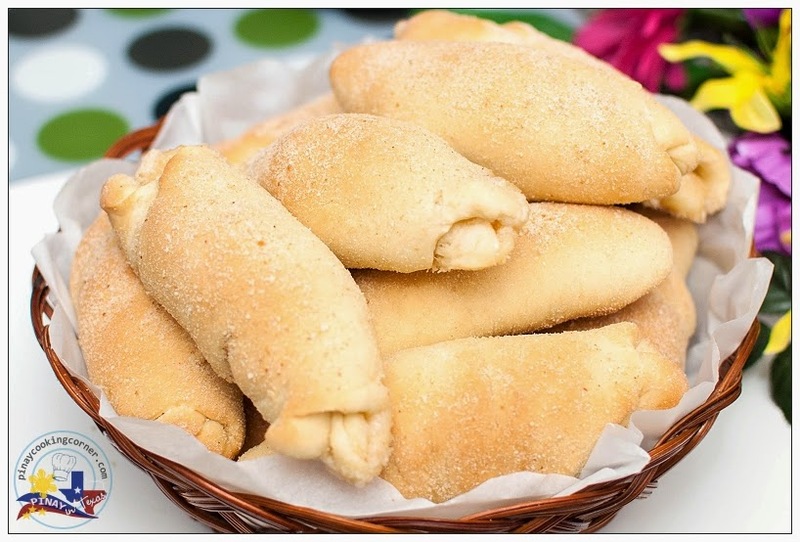 It has a sweet buttery filling which makes it so perfect for the Filipino taste buds. Try the recipe and see for yourself! 1. 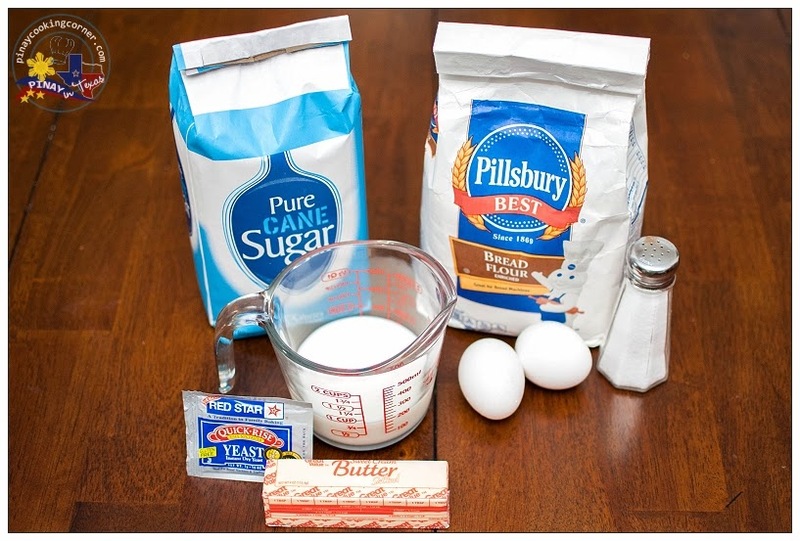 In the bowl of a stand mixer, combine yeast, 1 1/2 cups flour, sugar and salt. 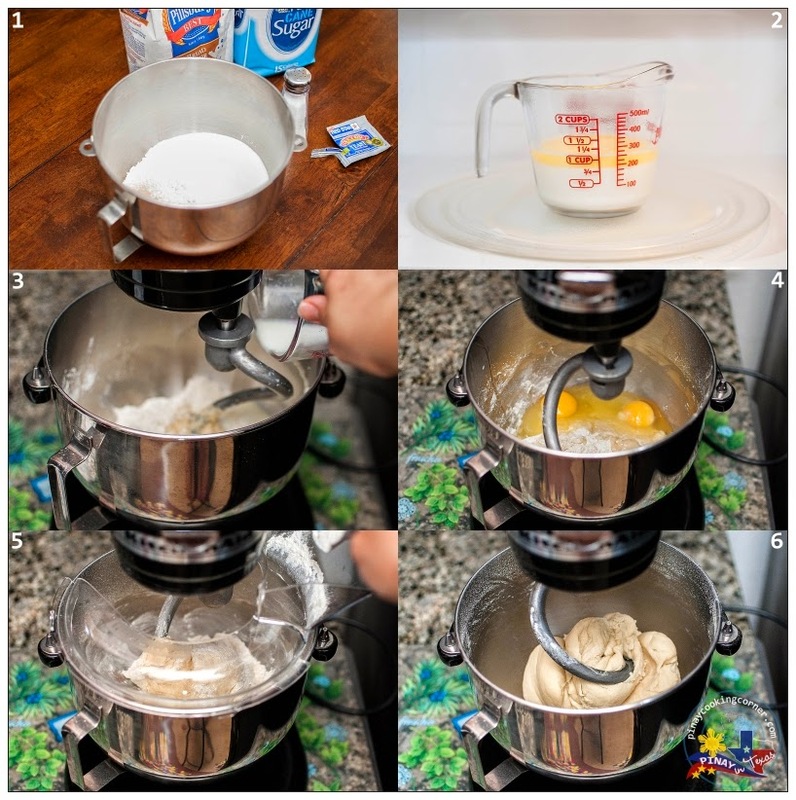 Combine milk and butter in a cup and heat in the microwave to 120° to 130°F. 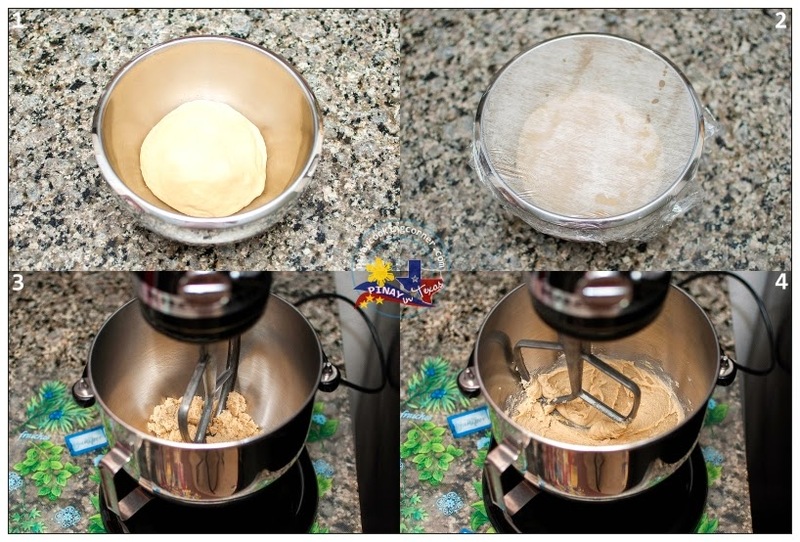 With mixer on low speed, add milk and butter mixture to flour mixture. Add eggs. Beat 3 minutes on medium speed. Gradually add remaining flour and knead with dough hook for 5 to 7 minutes or until smooth and elastic. 2. Place dough in lightly oiled bowl and turn to grease top. Cover with plastic wrap and let rise for 1-2 hrs. or until double in size. Meanwhile, cream butter and sugar in a bowl. Add vanilla and beat until well combined. Set aside. Line two baking sheets with parchment paper. 3. When dough is ready, place it on a floured surface. Divide into four equal pieces. Form each piece into a log and divide again into four equal pieces. Using a rolling pin, roll each piece into a 3"x5" rectangle. 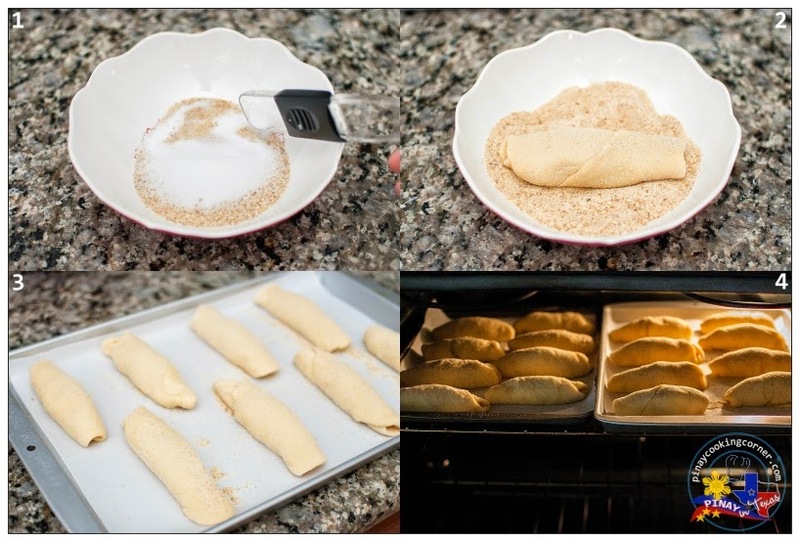 Brush the filling into the center and then sprinkle with about half a tablespoon of breadcrumbs. Roll from one corner towards the opposite corner. Be sure to pinch and seal the edges so butter won't ooze out while baking. 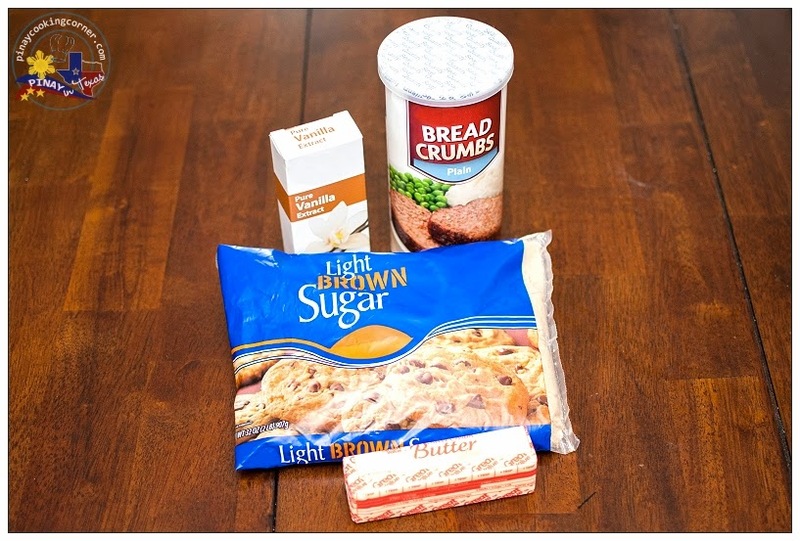 Mix breadcrumbs and sugar in a wide bowl then dredge each roll on it, making sure that the rolls are fully coated. 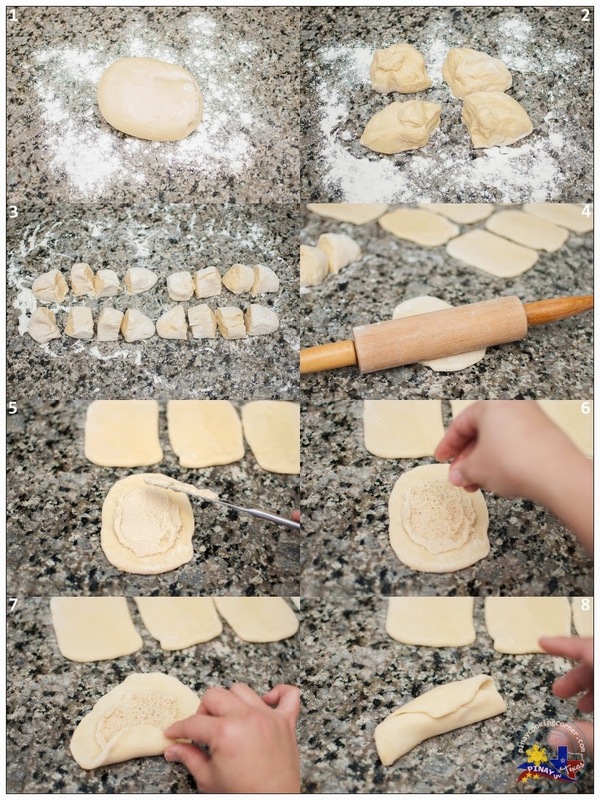 Arrange rolls seam down on prepared baking sheets. Cover with plastic wrap or wet cloth and let rise for another 15 minutes. 4. Preheat oven to 350°F. Bake Spanish bread for 20 minutes or until golden brown. Remove from oven. Transfer to wire racks and allow to cool down. wow sarap naman.thank u po for sharing. Wow! it looks really good and tasty. I was looking for your recipe of baked lasagna. Parang wala akong nakita. Can you share yours :) thank you.